“[by this strike], Trump confirmed that he is a Putin’s agent! Poor Nikki [Haley] should slam the door and leave, as an honest person can’t serve under Kremlin’s agent”. In my view, the two presidents have made heroic efforts at saving their countries and mankind from destruction; both risked their good names, their positions, their reputations to go that far. 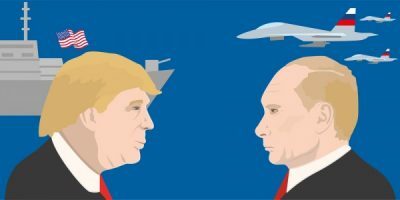 Trump minimized the bombing, Putin minimized the response.